For several years now, Epson has been the only game in town when it comes to entry-level 3LCD home theater projectors. Their Home Cinema 8350 has been consistently popular for four years - an eternity in the consumer electronics world, where almost every other projector released at that time has long since been discontinued. So Epson has now released a successor model--the Epson PowerLite Home Cinema 3000. The Home Cinema 3000 is an upgrade to its predecessor in just about every measurable way. A bold, bright image makes it a good fit for bright living rooms rooms and extra-large screen sizes, and it's easy to install thanks to its 1.6:1 zoom lens and extensive lens shift. With prices starting at $1,299, the Epson Home Cinema 3000 is a great stepping stone between the sub-$1,000 projectors and more specialized home theater models that cost $2,000 or more. By striking a balance between performance, features, and price, the Home Cinema 3000 should appeal to a lot of folks looking for their next projector. The main reason to get a projector instead of a television has always been picture size, but a lot of folks who are new to the hobby aren't ready to commit to a blacked-out cave for their home theater. The Home Cinema 3000 is ideal for these people. The sheer brightness and vividness of the picture means that you can put up a big, bold image in a room with white walls or imperfectly covered windows, such as a spare bedroom or living room. When you start up the Home Cinema 3000, you get a big brilliant picture. As with many other Epson home theater projectors, the lumen rating is slightly conservative, and Dynamic mode exceeded the expected 2,300 lumens. And while the color is greenish, Dynamic mode isn't unusable by any means; it would be a good choice for TV viewing when precise color accuracy isn't as important as brightness. The real promise of this projector, however, is its Cinema mode. Producing over 1700 lumens with the lamp at full power, Cinema mode's color is accurate enough to begin using right away, and contrast and black level are surprisingly good for such a powerful projector. The automatic iris noticeably improves black levels and is useful in dark rooms. The image is smooth and has little in the way of digital noise, but a one-notch increase in Noise Reduction removed what little was there to begin with and didn't appreciably decrease detail. 1) I wonder if the PQ upgrade is worth a full $1000 more. Thanks for all the great work and fantastic reviews! Best projector site I've found by far. There’s a lot to address in your comment, so I’ll just get started. 1. If you’re using the projector in a dedicated room with little to no ambient light and some decent room treatment, the Home Cinema 5030UB will steamroll right over the Home Cinema 3000. They’re not built for the same sort of use -- the level of contrast and detail you get out of the 5030UB would be wasted in a living room setup. 2. I have no more information about Epson’s release schedule than you do. But if I were you, I’d avoid playing this waiting game. When you’re ready to make a purchase, pick whatever’s best for you at that time, and then stop wondering if the one you picked is technically “the best” or not. Something new is always coming, and it’ll always be better. You have to make peace with that. Think of it this way: you're driving a 2002 Corolla. It's served you well, but it's starting to show its age, the engine makes some odd noises, and the interior is beginning to smell funny. Should you not buy a new car this year because there'll be a newer car next year? 3. Projectors are a much smaller market, so the TV comparison doesn’t quite work. I do expect a price drop, but 4K projectors won’t be competing with the Epson 5030UB any time soon. 4. Though it’s not 100% consistent, the new tests reveal about one frame (17ms) more lag than the old tests did. So a projector that measured 17ms using the old method (like the Home Cinema 8350) would measure at least 33ms now. Thanks for your detailed & speedy reply! 2/3) Excellent points, and great analogy. Anything today will blow away my 2002 Corolla. I just don't want to be the guy that only upgrades every 12 years and bought the last of the relevant 1080p projectors. 1) Wow - "steamroll" sure does sound good! Actually, I just realized that the 5030ub is old enough now to have made it onto the refurb market for a very attractive price. I've used this technique with for example, Apple laptops and they are as good as new. It comes with a full mfr warranty, have you or someone you know had luck/problems with refurb in the projector world? Dave -- we switched to the new test in mid-November 2013. Any reviews published after that point use the new testing method. The 5030UB was one of the last projectors measured using the old method, and our new measurement of Cinema mode using Fast processing is 56 milliseconds. Lance -- I'm not familiar with that particular problem. It's unfortunate, but we only get to see a projector for a few weeks to a few months, so it's impossible for us to catch long-term problems like the one you're describing. Dave We currently have a Runco 810 with a Stewart grey 2.35.screen approx 10ft wideby 4 ft high 125 diagonal screen. Thr Runco is working but peaher is not bright. This is a dedicated theatre room with no ambient light with a ceiling mounted projector approx 18.50 feet from screen. We are looking at purchasing a Edson 3000 or 5030 . Our concern is the screen size we have been told we will have change out the screen to a different size in order for the projection to be right. My question is can we keep our screen that is built in and still project a movie or TV movie well enough so we can keep our screen in place. The Runco we have now is only720 p and has a anamorphic lense . Which they are saying we will need if we keep our current screen . These cost over 2-3000 dollars please give me your input . It appears that the 5030 would work better as our room is completely dark, sometime we like to have a little light with the overhead lighting thank you for your response . If you have a 2.35:1 screen, you'll either need to use the anamorphic lens (the same lens you have now will work fine) or get a projector with Lens Memory. The 5030UB would look better in your room, but it doesn't support anamorphic lenses and it doesn't have lens memory. The 6030UB does support anamorphic lenses, and the only projector (that I'm aware of) in this price range with Lens Memory is the Panasonic AE8000. @Dave Wilson - per your first post about an Epson 3000 vs an Epson 5030. I tried a 3000, it was quite bright for my room and game mode had quite a few artifacts. I tried an 8345, and it was OK - just felt like an HD version of my Z2 I was replacing, nothing amazing. So I decided I'd try a 5030 because I wanted to see if it was truly worth almost 3x what I paid for the 8345. Within an hour of getting the 5030, I had the 8345 boxed up and ready to return. It's a stunning projector for the price point. Do yourself a favor if you haven't decided yet and give one a try. I currently have a Hitachi PJ-TX200 projector which has an audible noise of 28db. The projector has problems with it's LCD panel so I'm in the lookout for a new projector. This Epson one has the noise listed as 35 db. Is this a big increase in noise? My home theatre setup is so that the projector has to be located on shelf which is basically above the sofa so quite close to the viewers. I'm interested in this as an upgrade to my Epson TW3200, but it doesn't seem like it's available in Europe! Can anyone confirm this!? I can get the TW6600 / 3500, but in the white version it costs 2000 dollars, which is a bit too much. BTW can anyone explain to me, why the white version is over 300 dollars more expensive than the black in Denmark??? Hi just wondering how much of the picture quality is sacrificed in fast mode. I do play quite a bit of FPS games and some people are saying the picture quality looks like 480p in fast mode. I purchased the Optima 3500 and cannot get the aspect ratio to work to fit the projector to my 101" screen. I was told by a manufacturer rep that the aspect function cannot be used with a HDMI connection. 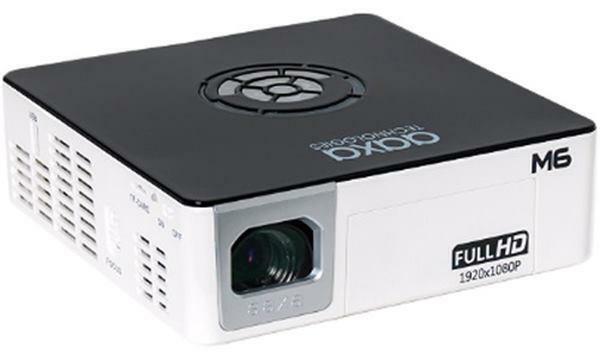 I find this unbelievable as this is supposed to be a 3D projector and how or why would the connector type have anything to do with the aspect ratio? Thanks. I just bought the 3,000. I'm having the same problem that the aspect ratio won't work. Also, I can't get the image to match our 120" screen which is 59 x 104. The closest image I can get is 54x104, a full 5 inches off? Any ideas? I had a Epson 8500UB that we loved so much we burned up the imaging unit. Im getting ready to replace it, is this a good choice or will I only be happy with the 5030UB?